The Gulf of Carpentaria opens its fishing season for barramundi on midday, the 1st February, having been closed since early last October. For more details, regulations, etc, go to: https://www.daf.qld.gov.au/fisheries/recreational/rules-regulations/closed-seasons-fresh-waters. 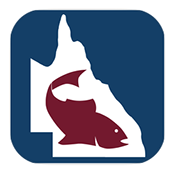 The new "Qld Fishing App", which features fishing rules in Queensland, including size and possession limits, is now available for download from Google play and the App Store. Queensland National Parks has a new name, Department of National Parks, Recreation, Sport and Racing, web: http://www.nprsr.qld.gov.au. We aren't great lovers of this camp booking system on Cape York, but this is the way it is supposed to work. 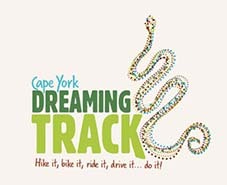 All Cape York parks are now live on the NPs web site for campers to book their camp sites before travelling. 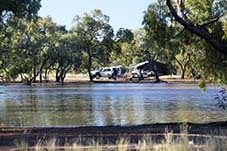 Head to the 'Camp Bookings' page at: http://www.nprsr.qld.gov.au/experiences/camping/camping_bookings.html to book online or call 13 74 68. However you may need to make a booking along the way (or alter or cancel an existing one) after you reach the Cape. To do this you can visit an authorised booking agent, (found at the Lure Shop, Cooktown; Mulley’s Market and Fuel, Coen and at Oz Tours Safaris, at the Moreton Telegraph Station). Or make use of the touch screen facilities provided at the ranger bases at Lakefield NP, Iron Range NP and Heathlands and at the QPWS offices in Coen, Cooktown and Weipa. You MUST have a permit before arriving at a national park campsite! You MUST have a permit before arriving at a national park campsite! Note: Lakefield NP is now know as Rinyirru (Lakefield) National Park. 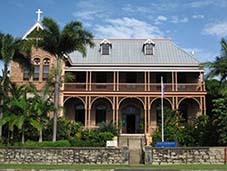 The informative Visitor Information Centre in Cooktown is now located at the very good James Cook Museum, 50 Helen Street, and is open 9am till 4pm, 7 days a week. Or, check out the Croc Shop for local and Cape York information - you'll find the friendly staff in the shop in the main street. Vrilya Point was returned to Traditional Owners in late 2014 and therefore closed in May 2015.They are managing their land and have no obligation to open it to the public. 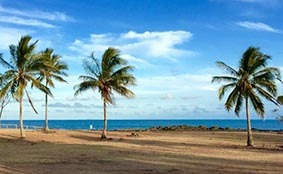 Traditional Owners of Cape York have developed the first stage of the greatest tourism trail in Cape York Peninsula – the Cape York Dreaming Track – traversing the beautiful unspoilt areas of eastern Cape York Peninsula from the Daintree rainforests in the south, through mountains, savannah plains, wetlands and stunning coastline, to the most northern tip of Australia. The fist section of the track – a 22km grade-5 walking trail built by members of the Gaamay Clan on their homelands stretches along the north shore of Cooktown through to Nob Point and will be open from the middle of the year. There's easy access now from the west to Maytown in the Palmer River Goldfields Reserve. From the Chillagoe-Laura Road, around 170km north of Chillagoe and 4.3km north of Palmerville Station (where you cross the Palmer River - GPS 144°5’10.5”E 15°58’22.9”S) the public road heads east to Maytown. This public road swings south and crosses the Palmer River once again to join the original route between Palmerville and Maytown. It’s an easy and enjoyable drive. There are few places that can equal Weipa and the surrounding area for exciting action packed fishing. To get into the fish why not hire a houseboat - Weipa Houseboats, ph: (07) 4069 7469 Web: www.weipahouseboats.com. Or if you really want to get away from it all why not Aurukun Fishing Charters who fish the mouth of the pristine Archer River – ph: (0407) 575 618, web: www.aurukunfishingcharters.com. Day permits to the area are required and people must stop at the service station in Hope Vale to get their permit. Camping at the sands is only possible at Eddies Camp where you’ll find toilets and showers. You no longer need to get permission of the mining company at Cape Flattery to camp at Connie Beach. Please phone the Hope Vale Service Station on (07) 40 609 292 for more information. 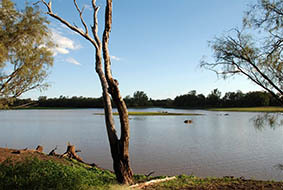 The 400,000 acre Merluna cattle property south-east of Weipa now offers accommodation, camping, fishing, bow hunting and 4wdriving on the network of station’s tracks. For more info ph: (07) 4060 3209 or check the web at: www.merlunastation.com.au. A new 42,500h, the Alwal National Park has been created out of the once 80,000ha Kalinga station that adjoined the SW corner of Lakefield NP. The rest of the property is a declared traditional Aboriginal Reserve, which also includes another 2,700ha nature reserve. It is located west of the Hann River Roadhouse on the Peninsula Development Road, about 100 km north-west of Laura. 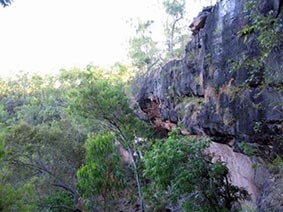 Cape York is now one of the most heavily protected regions of Australia, with 20 per cent of its area now listed as national park, traditional reserve, or designated under Queensland's controversial Wild Rivers law. Alwal joins Lama Lama, Kulla, Errk Oykangand and Marpa national parks, all listed since 2008. 4WD Qld, the peak state body, has adopted the track classification scheme first adopted by FWDVictoria. This is also the standard and model that is recommended by Four Wheel Drive Australia. Other state 4WD associations are working with their local public land managers in rolling this standard out, nationwide. This is great news for the travelling public. For more details check out, www.4wdqld.com.au, and follow the link to Track Classification. Don't forget your permits and remember, campfires are not allowed. 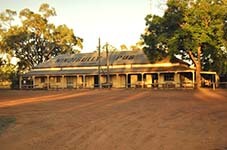 The oldest continually licensed hotel in Queensland, the Nindigully pub is located 160km west of Goondiwindi, 45km east of St George and 70km north of the Qld/NSW border. 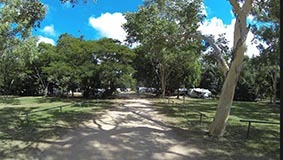 It is situated on the banks of the Moonie River and amongst other things offers free camping and caravan spots along the tree-lined watercourse. Between the cold beers you can always enjoy a swim, a spot of fishing or some yabbying. For more details phone: (07) 46259637 or visit: http://nindigully.com. During the dark days of WW2 the north of Australia was under threat of invasion by Japanese forces. Now a long lost gem of those days has been opened to the public - the Mount Isa Underground Hospital and Museum. The old underground hospital has been made into a museum recreating those times so when you are in the outback city of Mt Isa drop in and check it out. Queensland's outback has a great new guidebook that covers the area from the border north to Camooweal and Richmond and west from Cunnamulla to the Simpson Desert. Produced by the Queensland Museum the 350-page full colour book is rich in natural and historic detail, which makes interesting reading and every journey an epic in discovering new and exciting things. 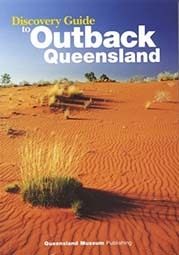 The Discover Guide to Outback Queensland is available from all good mapshops for about $24.95. Ringers Rest is nestled in the Mareeba valley of the Cairns Highlands, 6km east of Mareeba. It is surrounded by open woodlands and the rocky remains of ancient volcanic activity. 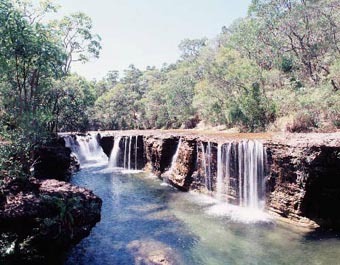 It offers quiet, secluded bushland. Vehicles of all sizes welcome. Facilities include water, toilet facilities with ramp access and pets permitted (restrictions apply). Cost is very reasonable. 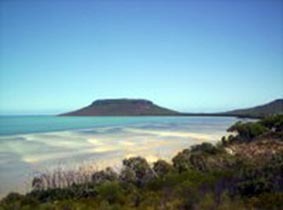 Approximately 7km south of Condamine is the attractive Caliguel Lagoon; “Caliguel” being the name of an early pastoral run in the area. In good seasons, the lagoon presents a fine stretch of water and is a favourite location for locals and visitors to enjoy waterskiing, boating, swimming, fishing and bird watching. Free camping is permitted and barbeques, picnic facilities and amenities will ensure you are comfortable and catered for. Chinchilla Weir is a concrete-faced earthfill structure 8km south of Chinchilla and is known for the unique curved design of its wall. It’s a popular freshwater playground for both locals and visitors with waterskiing, canoeing, swimming and fishing (please note a fishing permit is required). Camping is free for a maximum of two nights and some power and barbecues are available. It is a shady, relaxing place where you can photograph a spectacular Western Downs sunset over the water and a top-rated bird watching spot. 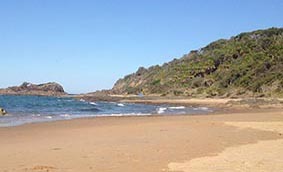 Workman's Beach Camp Grounds is located off Springs Road, Agnes Water, approximately 1km from the Agnes Water township and 200 metres along a dirt/sandy road. This is a very popular spot, low maintenance facility and there are 38 camp sites available for tents and caravans. Allocation is on a 'first-in' basis only; none of the camp sites can be booked. Best suggestion is to get there early and wait for a site to be vacated. Facilities include unisex and disabled toilets, a cold water beach shower, picnic tables, free gas barbecues and drinking water. Low noise generators are permitted from 7:00am - 7:00pm. Camp area is located 14 km east of Ilbilbie. Turn east onto Greenhill Rd, right onto Notch Point Rd, 9 km to gate (make sure you close it!!! ), then 3 km of narrow rough (trees, rocky, bog holes) sandy track. Access is by 4WD only. Need to be self-sufficient as there are no amenities. Campsites on the river and over the mountain, as well as on the beach at the other side. You will share it with cattle. Allowed to stay 7 days. Pet friendly. It does get windy, and the tide is very high and low. 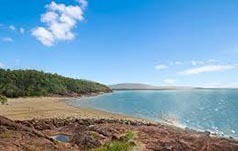 This is considered to be one of the best camping and fishing spots on the Central Queensland Coast. Fishing is particularly good here, but be sure to obey zoning regulations. The area is known for whiting, flathead, crabbing and live bait. 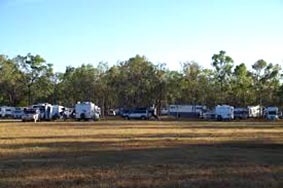 This free camping reserve is beside Fletcher Creek, approx 37km north of Charters Towers, near the entrance to Dalrymple National Park, with access via the Gregory Developmental Road. There is camping along both sides of the river. Facilities: flushing toilets, cold showers, sheltered picnic tables and wood barbecues. Please bring in your own wood. 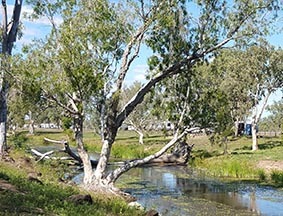 About 30 campsites on a first come first serve basis can be found amongst the beautiful gum trees at the Racecourse Reserve on the banks of the Burke River, at Boulia, in western Qld. It's a free camp and there is no water, no power or toilets so you gotta be pretty self sufficient. Phone and WiFi Internet available, while the town has all a traveller's basic requirements and a very good Dinosaur Museum. 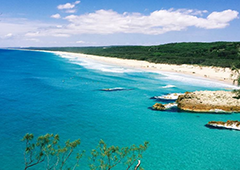 Straddie Camping offers easy access island camping on idyllic North Stradbroke Island which is within easy driving distance of Brisbane and the Gold Coast. 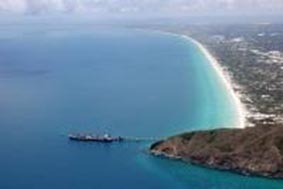 Popular with 4WDrivers, surfers and fishermen, the island also offers scuba diving, swimming, kayaking, sand boarding and bush walking, and is renowned for dolphins, turtles, manta-rays, kangaroos and koalas, as well as superb views of the annual humpback whale migration. 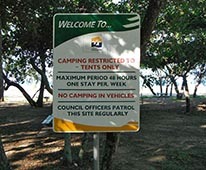 You'll also find a couple of 'dog friendly' camping areas.For more info go to: www.straddiecamping.com.au. They also have a Facebook page: https://www.facebook.com/straddiecamping. 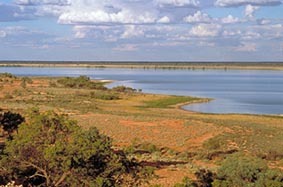 Bush Heritage Australia owns a 59,000ha block of land adjoining the fantastic Carnarvon National Park. You can camp here between April and November and access is restricted to no more than four 4WD vehicles at any one time and you must be totally self sufficient. Or, why not join one of their field trips or working bees. 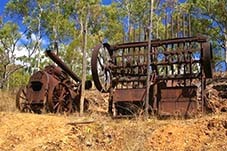 For more info go to: www.bushheritage.org.au. The 2600 acre cattle property of Myella Station is 125km south-west of Rockhampton, with the town of Baralaba being the closest to it. They offer accommodation in the ‘Homestead’ and you join the family for all meals. There’s a host of activities including horse riding and 4WD tours. 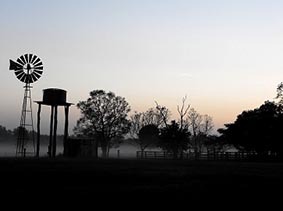 Flat Creek Station is a family run beef cattle grazing property of about 14,000ha, situated in the Gulf Savannah region of North Queensland, approximately 50km from Georgetown. The friendly hosts are Peter & Adam and the property offers a bush camping ground with amenities with many guests coming to detect for gold in the nearby historic gold fields area, while Cobold Gorge is just a short drive to the south. There is an impressive array of native birds to be found here including the rare Gouldian finch and a bird list is available on request at the homestead. Murphy's Creek Escape is a picturesque camping ground offering powered, non-powered, group and remote camping on large sites within an amazing natural bush setting. 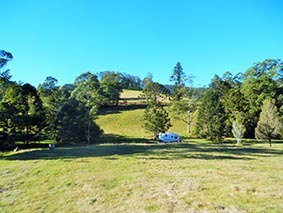 Only 1.5 hours from Brisbane and 30 minutes from Toowoomba, camping doesn't get any better in South East Queensland. Take your time to explore the area, hike into the White Mountain National Park, or take a dip from the sandy beach. 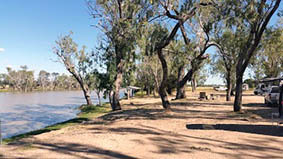 Chinchilla Camping, Chinchilla, located north-west of Toowoomba, offers a bush campground out at their local weir,10km from town on the Tara/Condamine Road. 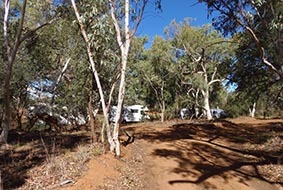 It is a day use area suitable for self-sufficient caravanners and campers. Set in a pleasant bush setting on the banks of the weir, the area offers a limited number of power outlets, a boat ramp, wood BBQs, picnic tables, toilets and bins. Stays are limited to two nights and an honesty system operates for power usage – donations taken at the Chinchilla Visitors Info Centre. Experience life in the great outdoors through the eyes of a local indigenous community at the new Echo Adventure and Cultural Camp near Tully, two hours drive from Cairns. There’s a range of indigenous, cultural and adventure experiences including bird watching, swimming, canoeing trips, river walks, abseiling and rafting. 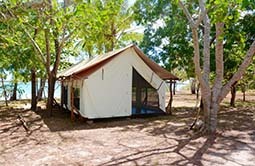 Accommodation is available in the Jackaroo Quarters or in the rainforest camp grounds. Just outside Cooktown on the crest of Mt Dickson is Alkoomie homestead, the working luxurious heart of the 18,000ha cattle property. The property has a range of accommodation as well as station activities and tours. For more details ph: (07) 4069 5463 or check out their website at: www.alkoomie.com.au. Large open campground with plenty of shady spots and access to a shallow creek that is usually a great spot for a swim (depends on how much rain the area has had). 30 sites – free campsites with a 48 hour maximum stay. Suitable for big rigs. Very popular. Facilities: flushing toilets, outdoor cold shower, electric/gas bbqs, rubbish bins. 10 sites, free camping, maximum 24 hour stay. Campsites near the ocean. Can get busy at times. Facilites: flushing toilets, kids playaground, picnic tables, rubbish bins, wood BBQs (bring in your firewood). Free camping for a maximum stay of 48 hours. 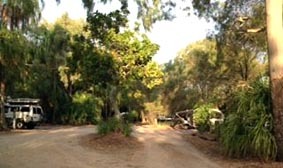 Shady and level campground situated on a small inlet, beside the beach. This is a very popular spot and can get very busy. Facilites: flushing toilets, boat ramp nearby (great fishing spot), wood BBQs (bring in your firewood). 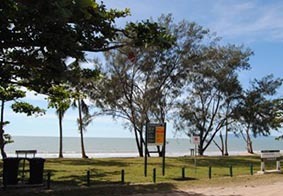 Located about 50km north of Townsville there's over a dozen small campsites here. Maximum stay is 48hrs, but camping is free. Also available is a cold outside shower, toilets, BBQ and drinking water. And you can't get much closer to the sea!